Health Care Insights - From Policy to Practice: Jonathan Blum, Director of the Center for Medicare Management Joins The Medicare Congress! 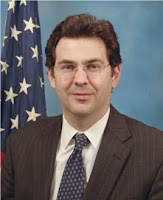 Jonathan Blum, Director of the Center for Medicare Management Joins The Medicare Congress! Keynote Presenter Jonathan Blum, Director of the Center for Medicare Management (CMM), and Acting Director, Center for Drug and Health Plan Choice (CPC) at the Centers for Medicare and Medicaid Services. Don’t miss his Keynote Address at 8:45 AM on Thursday, January 21, on the CMS Regulatory Outlook for Part D and Medicare Advantage Programs in 2010 and Beyond. Now, with final negotiations beginning on the Senate and House versions of the Healthcare Reform Bill, changes to Medicare as we know it are inevitable. Don’t be left behind by your competitors - Join us at the year’s most respected Medicare event to arm yourself with the tools needed to prove the merit of MA, increase profitability, and deliver value in an increasingly member-centric Medicare system. Over 40 of the nation's leading Health Plan CEOs and Medicare Directors are already attending, including Aetna, American College of Physicians, BlueCross BlueShield, Essence Healthcare, Gorman Health Group, Healthcare Partners, Henry Ford Health System, Kaiser Permanente, United Healthcare, Universal American, and WellPoint. Click here to view the full list. The 7th Annual Medicare Congress is designed with your entire team in mind, so find out about group discounts and register by this Friday, January 8th, to maximize your savings.